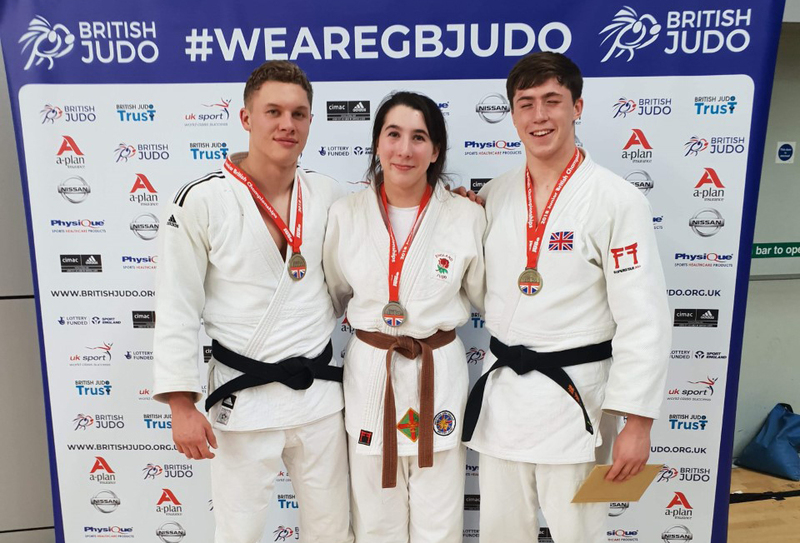 PLYMSTOCK School students Max and Cordelia Gregory and Ivybridge Community College’s Lewis Widdicombe have been selected for GB Judo programmes. All three youngsters are members of South Brent Judo Club and their selection comes after a highly successful 2018. Widdicombe and Max Gregory have joined the prestigious GB elite development squad (EDS), while Cordelia Gregory, despite being a 15-year-old cadet, has been selected on to the GB heavyweight programme for 18-21-year-old juniors. She is one of only a two cadets to be invited on to the programme. The young judoka will now embark on programme of elite training camps and international competition. The training camps provide opportunity for high-quality randori (free practice), physical development and the delivery of educational workshops around nutrition, psychology, lifestyle and career planning. A strong coaching team led by 2012 and 2016 Olympian and former European medallist Colin Oates and elite performance coach Denny Roberts will run the challenging programme. It is designed to develop the athletes who are deemed to have potential for Paris 2024 and beyond. Meanwhile, Cordelia Gregory will compete at the Thurlinga Cup and camp in Germany between March 23-27.